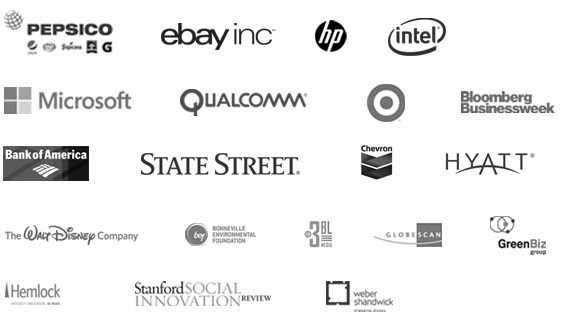 BSR is abuzz as we confirm speakers, finalize sessions, and approve the details for meals, networking receptions, and our mobile app for the BSR Conference 2014, taking place November 4-6 in New York. The event is just two short months away, and an even closer deadline is approaching: Advance rates—the last chance to save on your Conference registration—end September 30. Here’s a snapshot of what’s new in our program, including a few sessions, speakers, and creative features that will make your experience an exceptional one. Katrina, Sandy, Haiyan: How can the private sector act to make business and society more resilient in a climate-constrained world? What steps are companies already taking to respond to anticipated future risks? The Fracking Debate: Do We Know Enough to Hit the Gas? The experts debate: Are fracking companies doing enough proactive due diligence and risk assessment to ensure that they are considering the health and geological risks of fracking at these unprecedented levels? Are they taking the right steps to mitigate or eliminate those risks? It is the virtuous circle of marketing: Make your product so desirable that everyone must have it now. But can marketers achieve this same dynamic with sustainability? Can mainstream, mass-market brands motivate their consumers to buy into sustainable lifestyles? Find the latest information at bsr14.org. 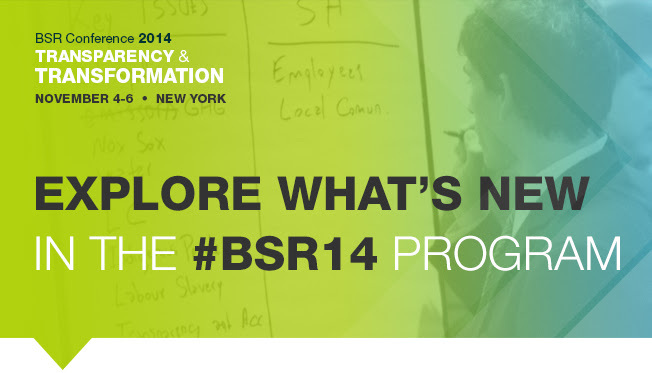 Join the conversation on Twitter using #BSR14, and follow us @BSRnews. For sponsorship opportunities, please email Pamela Schwartz at [email protected].